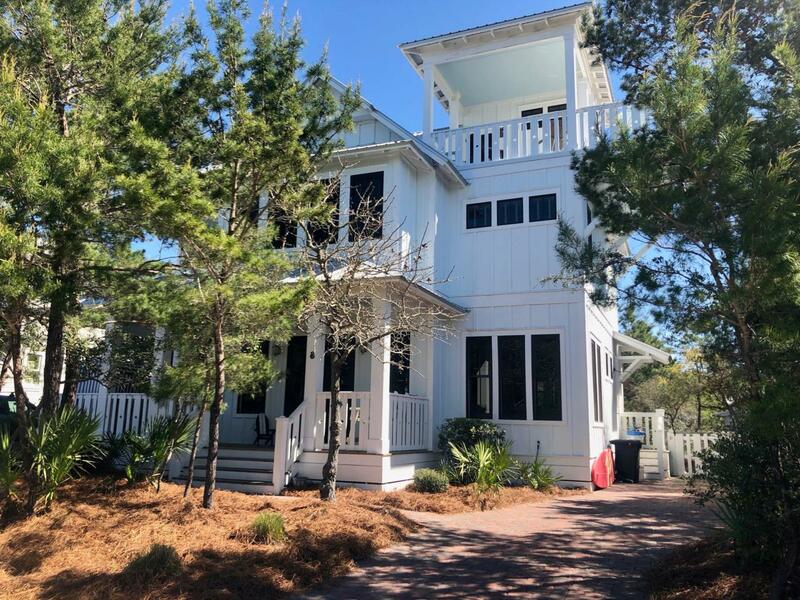 The Preserve at Grayton Beach has so much to offer:gated community, 2 entrances to the community, 2 tennis courts, 2 swimming pools, community room, 2 bath/shower rooms (one at each pool) exercise room, state land that surrounds the community on the east and north side and a DEEDED beach access to the Gulf of Mexico. The homesite is large enough to add a guest cottage with approval of the ARC and HOA. A large back yard that is totally fenced in. As you enter the home, you are greeted with an open floor plan: living room, kitchen and dining area. The hardwood floors throughout the first floor with exception to the master bath, laundry and 1/2 bath (they are tiled) have been refinished and the stair treads to the second floor. 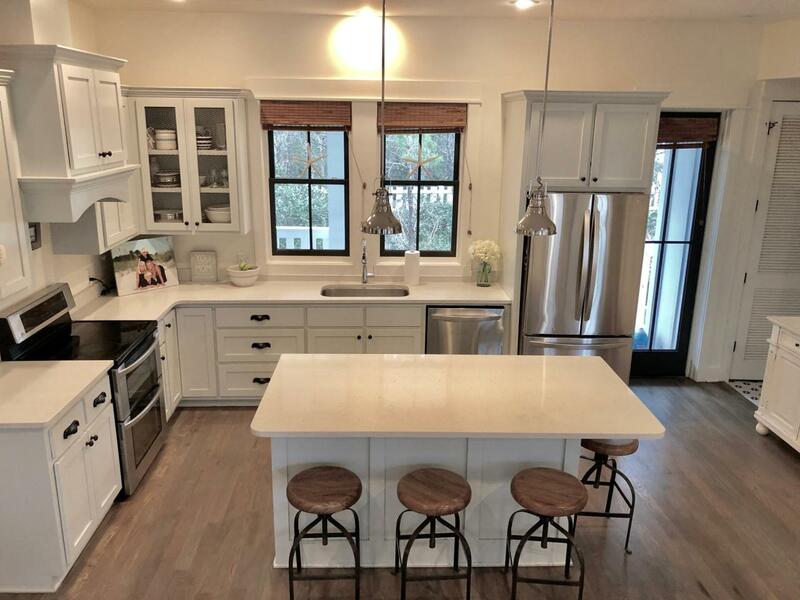 The kitchen has custom cabinets, solid surface counter topwith center island and stainless steel appliances. Walk through your double doors to the master bedroom, walk-in closet and an entrance to the front porch. The master bath has a separate shower with subway tiles surrounds, soaking tub and double vanities with custom cabinets and solid surface countertops. The first floor has 10" ceilings and the second floor are 9'. There is an entrance to the back yard off of the kitchen and a side entrance to the driveway. A 1/2 bath with pedestal sink and washer / dryer for convenience on the first floor. Second floor has 3 bedrooms and 2 full baths and a large open room for gathering/playing games or just spending time together. The gathering room has access to the balcony as does one of the guest bedrooms. 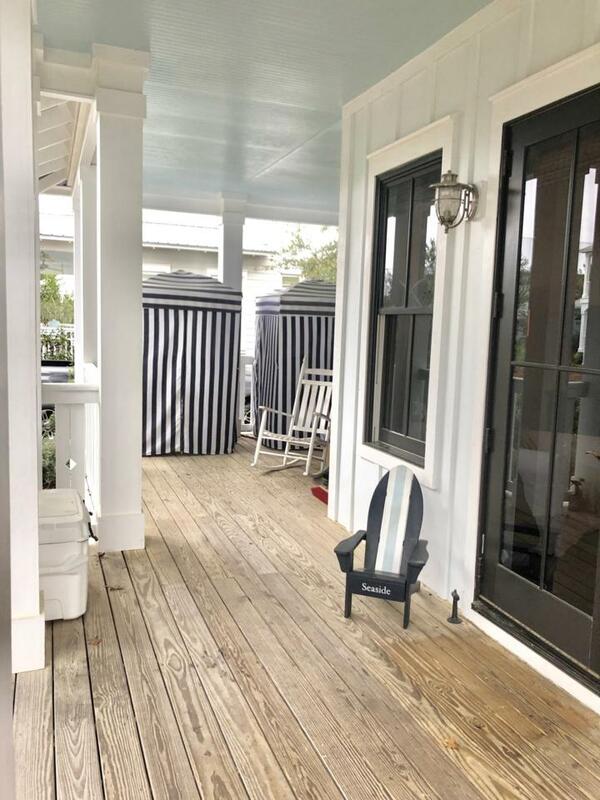 Climb up to the tower that opens to a large open deck for viewing with a glimpse of the Gulf of Mexico and hear the sound of the waves on a quiet evening sitting on the large open deck that faces south and west.